Well hello to you my reader chums! It'll come to no surprise if you're a regular reader, that I adore a berry lip. My go to in the winter time, I love to rock the berry look with a cosy darker style outfit. However, just because the season of spring and summer has come around, it doesn't mean berry lips can't still be on trend. For evenings out, I love to wear a vampy lip all year round and now I've found the perfect combination to do so. Urban Decay has to be my favourite high end brand. Every product I've tried is always of high quality and I'm never disappointed. 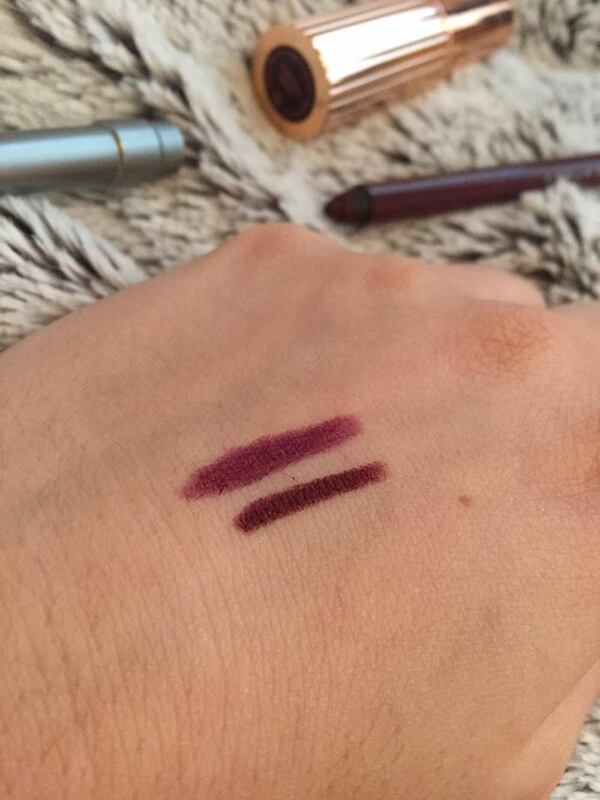 The lip liner in 'Hex' is no different. It glides on with such ease and given the size of the pencil, you can perfectly outline the lips but also fill in the colour. 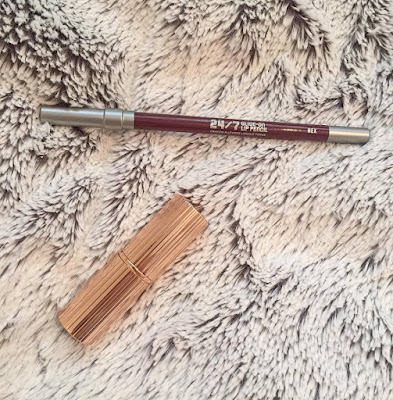 I find with some lip liners, they can really tug when you use them, however as this product is so creamy, that's not the case. An highly pigmented, rich burgundy shade, the pencil suits a variety of intense dark lip looks. With the 24/7 label, I didn't know what to expect. 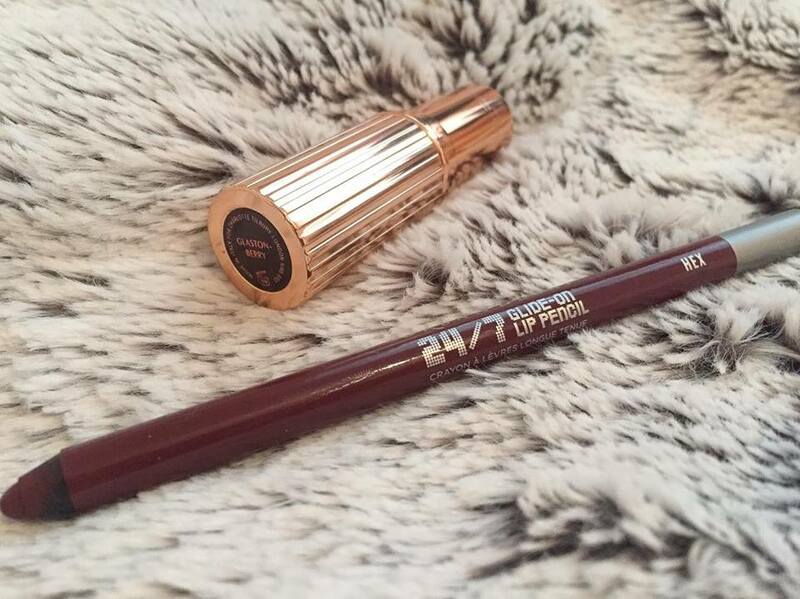 However, the lasting power on this lip liner is seamless, it clings to any lipstick on top and will keep in place all night long. 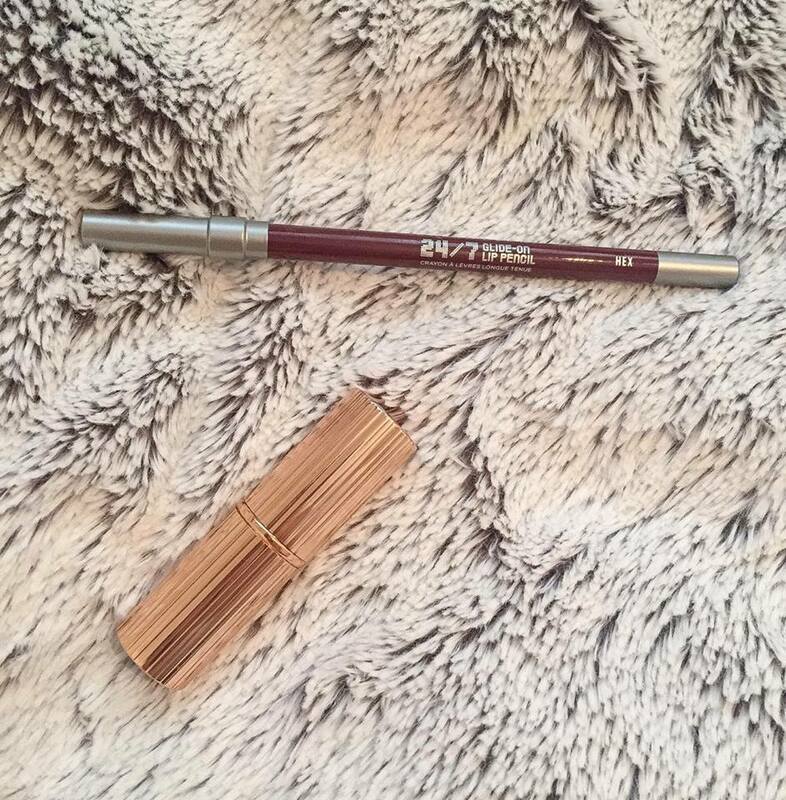 With the stunning colour, intense pigmentation and long-lasting wear, it's an ace lip liner for me. The name and brand Charlotte Tilbury is well-loved by the entire beauty community so when I finally received my first product, I was thrilled. Its safe to say, the lipstick lived up to the hype. The jaw-dropping rose gold packaging is to die for, the berry toned colour fits the dark lip look and the consistency, creamy as ever. It's one of those products that sits and blends on the lips with ease; a light-weight lipstick. I can't say it's the most long-wearing lipstick I've tried, however upon application you can feel the high quality of the product. It's not heavy, or sticky but is richly pigmented with a stunning dark berry tone. The long-lasting lip liner paired an ultra creamy lipstick has become my favourite berry combination. As both products have a creamy consistency, the wear is incredibly comfortable and sits with ease for a long while. The lip liner is slightly darker than the lipstick itself so makes the outline of the lips slightly more prominent, a look I adore. Given their combined pigmentation, colour pay off and lasting power, you couldn't go wrong with this lip look. 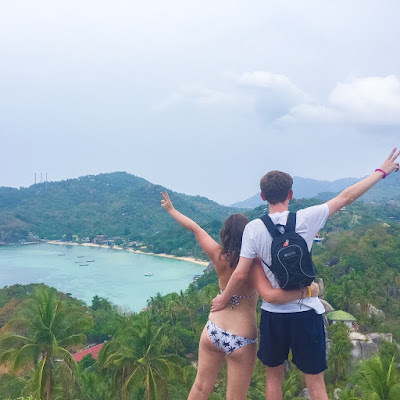 I hope you enjoyed this post. What's your favourite berry lipstick? I neeeeed to get some good lip liners, I think I only have a red one... These sound fabulous - I've never tried urban decay! This looks like a lovely combination! I also love urban decay and it has t be my favourite high end brand.